I think the newest J-Runner Update just Broke the J-R Programmer V2's Features. Don't know if it was intended or not. I was using Rater earlier today with Beta 7 with no issue. I closed it and re-opened it and now get this error. It doesn't matter what I attempt to do. 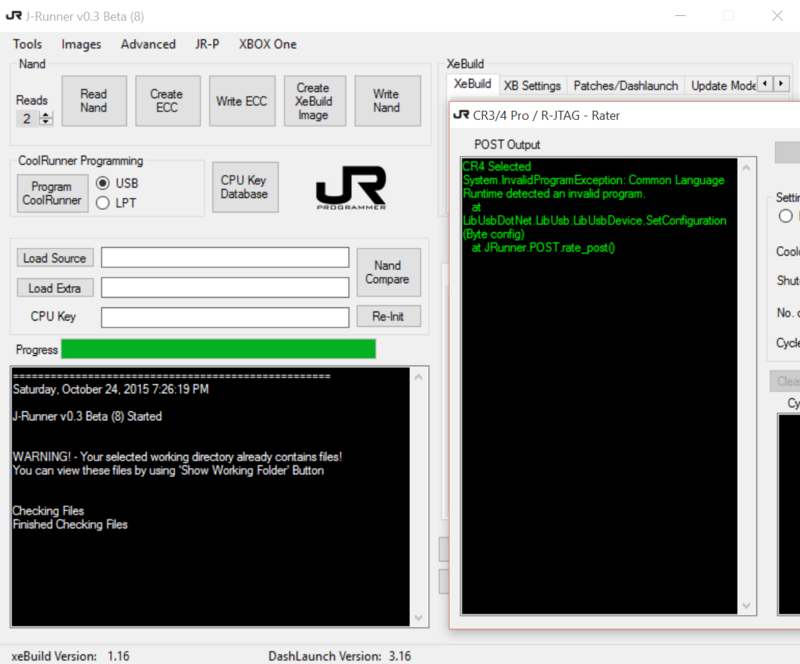 Anything using the J-R Programmer V2. Ex: Reading Nand, Writing Nand, Using Rater, etc. I Re-Flashed it, and tried again, same issue. I had to downgrade. J-Runner Beta 8 is defective, I have a NAND-X and retrieve my NAND console Trinity. BETA 7 is OK. I also had to downgrade to BETA 7. I figured that. Just wanted to make it known if it wasn't already. I also can confirm that. I'm getting an "Common language runtime detected an invalid program" error message when trying to read NAND. No issue on lower version of J-Runner. All good for me now. It's in moments like this that I think of my father's last words. Which were: "Don't son, that gun is loaded!" Hmmm... Looks like I need to add J-Runner to resources section. The one in our resources is the official build from @stefanounick and Xecuter has put everything back online so downloading from the application works again.